On behalf of Borderland Beat we would like to thank our readership base, since December 3, 2009 we reach one million hits today. We are trying to provide information about the war the Mexican government is waging against the drug cartels and the mayhem the drug cartel are causing on the population of Mexico. Most people in the US don't have the slightest idea what is really happening across their border in the south, primarily because it does not get a lot of coverage. We think Mexico to a degree is trying to take control of the problem, the question is why are they not succeeding or showing any significant results. Statistics speak for themselves, I won’t bore you with the numbers as we have presented them here over and over. But truth be told the answer is on the writings on the wall, all you have to do is read the chaos in every post on this site and you will start to see a disturbing pattern. Greed, corruption at all levels of government and a thirst for the demand for drugs, makes for a complicated and lethal combination. The only true victims are the people of Mexico, they deserve better. We allow for readers to post on topic with constructive comments and insight to the issues at hand. We do moderate our comments. This site is not to discuss the immigration debate or to propagate hate toward any ethnic group, it is about the organize crime. We do an honest attempt to moderate this as best as we can, while allowing readers to participate without taking the discussion out in to left field to push unrelated issues and personal agendas. That is just how it is, sorry. We also hear a lot of debate about gun control in the US and the problem of smuggling of weapons in to Mexico. I believe that the Mexico cartels have the money, in dollars, from the drug trade to purchase high caliber assault weapons where ever they need to get them from. So yes, Mexico needs to do a better job controlling what is coming in (drugs or guns) and the US needs to make sure we are not arming any terrorist or drugs cartels. The question is how to do it effectively without interfering with the rights of people in the US? Thank you all for joining us in hitting a mile stone at Borderland Beat, with 1 million hits and growing in just 6 months in existence. I specifically want to thank all the Borderland reporters who post without earning a cent, just to inform others of what goes on in the other side of the border. 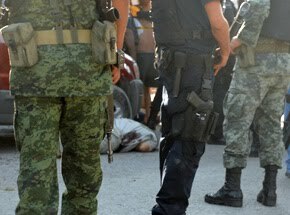 A confidential report issued by the US State Department warns the Mexican government of a complicity of a new alliance between the criminal group Zetas and the commission Secretariat of the Federal Public Security (PFP), Genaro Garcia Luna and other senior officers of the Preventive Federal Police. It is alleged the Zetas were to make payoffs of sums of millions dollars in order for the federal police to implement an all out offensive through a mega operation against members of the Gulf Cartel. Such alliance, according to the confidential report, was reached between Miguel Angel Treviño Morales, aka "Z-40," and mediated by a close relative who forms part of ranking members of the federal police agency, which calls for them to conduct operations to capture or kill his enemies. 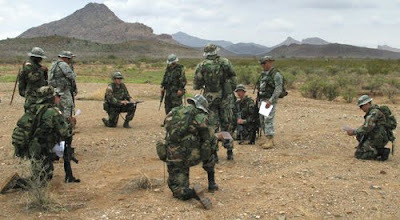 Despite the fact that the Federal Police had been replaced in the direct fight against organized crime by elements of the Sedena and the Navy because they had lost trust and for suspected of being infiltration by organize crime and corruption, the federal police in full complicity with the Zetas is preparing to wage an all out offensive against the Gulf cartel in the border cities of Reynosa, Matamoros, Miguel Alemán, Camargo, Mier, Nueva Ciudad Guerrero y Díaz Ordaz (known as Frontera Chica). This is according to the confidential U.S. report, which was obtained from statements given by a sicario that had been captured in the "frontera chica" and is one of the closest associates of Z-40. As a result of this, the Federal Preventive Police in an unusual way has established bases of operation in "Hotel Tío Luz" in the town of Miguel Alemán, while in Camargo they have set up a base in "Hotel Arturo's." This new offensive was authorized by Genaro García Luna and senior officers of the PFP, after Morales Treviño through his family/contact used the excuse to blame the Gulf Cartel for recent killing of two highway officers in the municipality of China, Nuevo León. A band of 15 “sicarios” responsible for depositing the bodies of murder victims into the ventilation shaft of the Mina de la Cocha outside the tourist city of Taxco, Guerrero are now in the custody of the Procuradoria General de la Republica (PGR) in Acapulco. The arrests occurred early Saturday morning in the city of Iguala, Guerrero. According to press reports, the men were apprehended by Mexican army troops in response to an anonymous phone tip. The caller described a group of heavily armed men dressed in black uniforms of the previously disbanded AFI federal police force that were in a safe house in the colonia Arboledas section of Iguala. After a brief fire fight the gunmen surrendered to the army. Several weapons and vehicles were confiscated. In an increasingly common and ominous occurrence with organized crime arrests, various uniforms belonging to several federal and municipal police forces were also confiscated. These included the AFI, PFP and Transito Municipal. The state of Guerrero, for many years recognized as one of the more violent areas in Mexico, is the site of extensive cultivation of marijuana and opium. The state suffered severe government repression in the 1970’s and 80’s due to a rural insurrection by a Marxist guerilla movement. The ERPI guerilla movement is still active in the more isolated areas of Guerrero and is said to tax the growers in their areas of control. Drug trafficking in Guerrero was largely under the control of the La Familia drug cartel until the death of Arturo Beltran Leyva in December 2009 at the hands of the Mexican marine forces. Guadalupe, Nuevo León - In the municipality of Guadalupe, Nuevo León elements of the Mexican Navy captured four people who are directly related to the cartel leader of the Zetas, Heriberto Lazcano Lazcano "El Lazca" or "El Verdugo," including his alleged accountant, who was in possession of more than $300,000 in dollars and 3,400,000 in pesos, in addition to weapons, vehicles, magazines and ammunition, among other items. According to early reports, one of the detainees is Hipólito Bonilla Cespedes, 52 years old, who has been identified as the alleged counter Lazca. The federal police also managed to arrest police officer Francisco Alejandro Aguilar Ibarra, 26, who allegedly provided security to Bonilla Céspedes. Arrested were also Maritza González Olivares, 21, and Jesus Gilberto Gonzalez Torres 50, both also associated with the same cartel and helpers of the accountant. They were also found to have a PS90 rifle, an AK-47, two 9mm pistols, 411 rounds of ammunition, 12 magazines and one grenade. They also seized two machines for counting money, a machine to make identifications and four suitcases full of money. Four more execution style murders in Ciudad Juarez on Sunday lead to a tally of 242 murders for the month of May. This is the highest number of murders per month so far this year and can only be explained by the ineffectiveness of joint federal, state and local police operations in combating crime. “The numbers show that we the citizens must begin to take protection into our own hands as there is no authority that can stop this slaughter” said Laurencio Barraza, a member of the Organizacion Popular Independiente, a citizen’s watchdog group. “We are attacked and nobody is imprisoned while there are thousands of police and dozens of policing operations . The administration of justice does not exist. The authorities have no clue where this is heading” he added. Mr Barraza continued “Our government institutions don’t do their jobs, they take no actions. 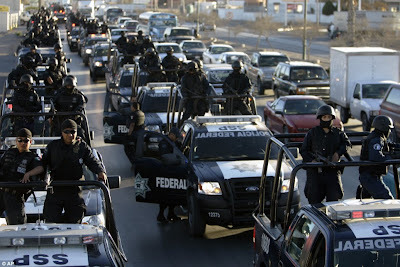 What we really need is for the state to provide justice because until now they have only increased our fear in Juarez. “The level of violence is due to this impunity. It makes no difference how many police are brought or how many operations are implemented, if the law is not applied rigorously the situation will never change” said Mr Ortiz. May was the most violent month of the year with 242 murders recorded. In April there were 240, in March 203, in February 163 and 227 in January, according to newspaper archives based on statistical data from the state of Chihuahua Attorney Generals’ office. The murder rate so far this year equals the rate in 2009 when an average of 7 murders were recorded daily. So the annual murder rate in Ciudad Juarez, with a population of almost 1.5 million inhabitants, has remained steady at approximately 133 per 100,000 inhabitants since 2009, making the city the world's murder capital. Most of these homicide victims are drug cartel gunmen and traffickers and street gang members. A significant number, however, were common middle and lower class citizens usually caught in crossfires or victims of mistaken identity. To put these numbers in a meaningful perspective consider that the comparable murder rate in New York city ,with a population of 8.5 million people, was 6 per 100,000 inhabitants for the year of 2008. Three cities in the U.S, with a similar population size to Juarez are Philadelphia Pa, Las Vegas Nv and San Antonio Tx. The 2008 murder rates for these 3 cities are 23 per 100,000 inhabitants in Philadelphia, 8.9 per 100,000 inhabitants in Las Vegas and 8.6 per 100,000 inhabitants in San Antonio. Or put another way, San Antonio and Las Vegas typically average less than half the homicides in 1 year that Ciudad Juarez averages in 1 month. Monterrey, NL - Gunmen kidnapped the transit chief of the northern Mexican city of Monterrey, Juan Enrique Barrios Rodriguez, on Monday, hours after abducting highway department director Reynaldo Ramos, city officials said. Barrios Rodriguez was abducted at 3:30 a.m., when the gunmen knocked down the door of the official’s residence. The gunmen also stole two cars from the garage of the official’s home. The kidnappings occurred days after Monterrey Mayor Fernando Larrazabal purged the police department of officers suspected of having links to drug traffickers. A total of 178 officers were dismissed. The Nuevo Leon state Attorney General’s Office is investigating both kidnappings and launched an operation to try and nab the kidnappers. Drug traffickers are fighting for control of Monterrey, one of Mexico’s largest cities and the main financial center in the northern part of the country. Kidnappings like these are usually carried out by organized crime groups and no ransom is demanded, with the victim’s body being found soon afterwards, often showing signs of torture. Nuevo Leon, whose capital is Monterrey, along with Chihuahua, Sonora and Coahuila, all located in northern Mexico, are the states most affected by armed activities carried out by drug cartels. Tamaulipas, a border state in northeastern Mexico, has also been plagued by drug-related violence. Despite the fact that several elements of the Mexican army were a few feet from the crime scene, they failed to stop a slaughter perpetrated by an armed commando in Ciudad Juarez that killed five people. Five people, including the owner of a truck burritos, were riddled with bullets killed by a group of sicarios a few feet from the border bridge of Zaragoza, and right in front of the passive eyes of the army who did not make an attempt to stop the attack despite being a few feet away. According to a report on channel 44 in Ciudad Juárez, the events occurred on the afternoon of Friday, May 28 a few feet from the border crossing and without the Mexican army intervening. The shooting occurred when a pickup truck parked near a bus converted to sell burritos and several of the occupants got out to buy something to eat. Right after an armed group arrived and opened fire with rifles, killing the crew of the SUV and the owner of the business selling burritos. Although they were a few feet from the scene, the elements of the Mexican army assigned to the international bridge in Zaragoza never intervened or tried to stop the shootings. A report by Channel 44 shows the images of the distance from the site of the shooting to the gate of Zaragoza, where the soldiers were standing and did nothing to stop the aggression. 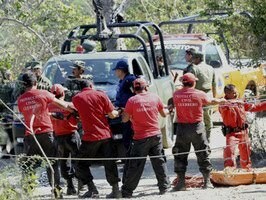 Acapulco, Guerrero - Mexican police on Saturday found an abandoned silver mine scattered with bodies outside a colonial-era town popular with international tourists. Five bodies were recovered from the mine at Taxco in southern Mexico in what appears to be a dumping ground for victims of organized crime, said Manuel Nava Garcia, a spokesman for Guerrero state government. A state official who asked to remain anonymous because of safety concerns estimates there may be more than 20 bodies at the site. He said authorities were tipped off by an organized crime suspect arrested on Friday in the nearby city of Iguala. The human remains appear to have accumulated over an undetermined time as bodies were tossed over a 300-foot (100-meter) precipice into the mine. Police and military crews exploring the underground site since Saturday morning wore breathing equipment to guard against the possible noxious gases in the mine. The search was suspended after dark until Sunday morning. The state of Guerrero is plagued by drug violence among rival gangs, and marked by brazen attacks on police and soldiers engaged in a crackdown on traffickers. The Secretary of Public Security in Escobedo, retired Brigadier General Hermelindo Lara Cruz, survived 40 minutes of hail of bullets from sicarios in five SUVs that fired on the vehicle and the C4 municipal police headquarters. The Jeep Grand Cherokee, with level 5 armor plus, withstood some 100 impacts from gunfire that allowed the chief Lara to take shelter in the headquarters. The rear window that as not bullet proof was totally destroyed. Monterrey, Nuevo Leon - A soldier and a civilian were wounded in an attack by suspected cartel hit men on a police chief in the northern Mexican state of Nuevo Leon, officials said. A group of assailants on board five SUVs fired gunshots at the vehicle in which Gen. Hermelindo Lara Cruz – the Public Safety secretary in the town of Escobedo, part of the Monterrey metropolitan area – was riding. 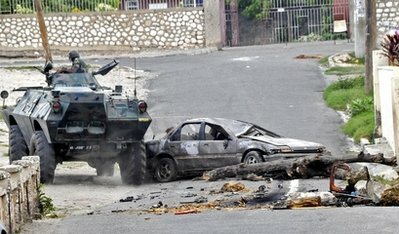 The assailants also fired at the city’s police headquarters, but “the general and his guards managed to warn the people who were inside and therefore all the police and civilians were able to run and hide,” an official statement from the Escobedo municipal government read. Gunmen wielding AR-15 and AK-47 assault rifles wounded a soldier and the driver of a trailer that was parked outside the police station. The hit men also fired at patrol cars and other vehicles that were parked near the building. Monterrey, Nuevo Leon - Authorities in this northern industrial city said 178 municipal officers, or 40 percent of Monterrey’s entire police force, either resigned or have been dismissed in connection with anti-corruption screening carried out this week. 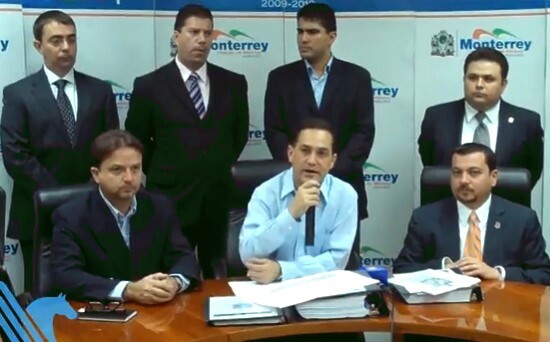 In a press conference Friday, Monterrey Mayor Fernando Larrazabal presented the results of five rounds of testing the officers underwent in recent days. On Monday, Larrazabal ordered the police force’s 14 command-level officers and 600 patrolmen to be subjected to five evaluations to weed out officers suspected of ties to drug traffickers. Larrazabal said 118 officers voluntarily resigned and 60 others with blemished records were fired. He added that 15 police failed toxicological exams, while polygraph tests determined that 12 officers were unfit for the job. Larrazabal added that Monterrey authorities prefer a smaller, more committed police force that is less susceptible to infiltration by organized crime. Six men were fatally shot on Friday just a few meters (yards) from the Mexico-U.S. border, the Chihuahua state Attorney General’s Office said. The victims came under attack while riding in an SUV near one of the bridges that link Ciudad Juarez with El Paso, Texas. Seeking refuge, the driver pulled up to a grocery store. Two of the SUV’s occupants were killed inside the shop and two others died on the street, while two remained in the vehicle. Authorities are working to identify the victims, described as ranging in age from 25 to 35. Drug-related violence has claimed more than 1,000 lives in Juarez since Jan. 1 and upwards of 5,000 over the past 2½ years. President Felipe Calderon’s administration has deployed about 5,000 Federal Police officers in the border city of 1.5 million to try to stem killings by drug cartels battling for control of smuggling routes into the United States. Juarez was also occupied for months by thousands of army troops, but the military presence did nothing to quell the violence, while drawing numerous complaints from residents about abuses by the soldiers. 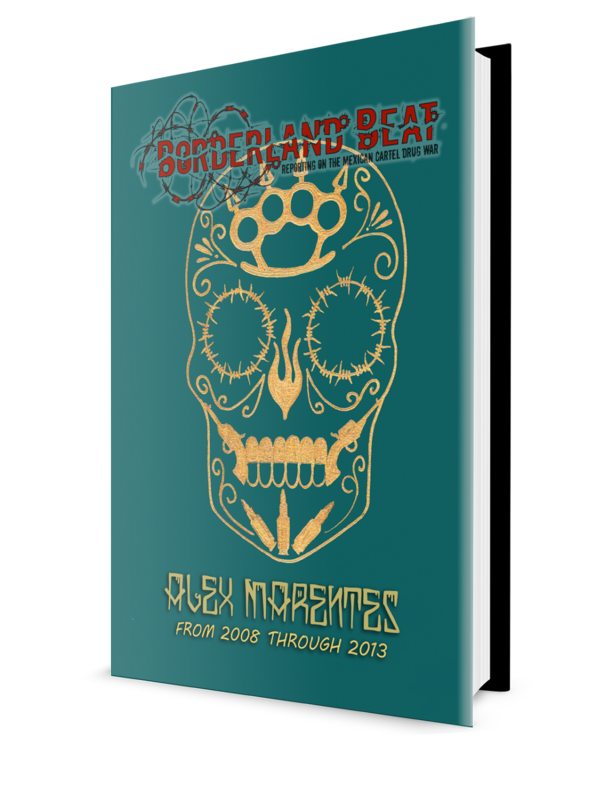 More than 23,000 people have died in Mexico’s drug war during Calderon’s tenure, which began in December 2006. We got more information on the shooting from a helicopter that injured a student while at school. Federal forces patrolling the city aboard a helicopter allegedly injured a middle school student with a stray bullet at a school when they opened fire on a suspicious convoy of trucks that were travelling on Acapulco Boulevard, near the school. The female juvenile that was injured was identified as Oyervides Daniela, who is in her first year at the middle School Number 4 "Marte R. Gómez." Witnesses said that on last Wednesday afternoon, the crew of a green and black helicopter, similar to those used by the Mexican army and Navy fired at least five times on the edge of the schoolyard, just when recess had ended. In the streets around the school witnesses reported seen suspicious trucks travelling at that moment of the gunfire and they appeared to be the target of the aircraft. One of the stray bullets hit the leg of the student, who was rendered aid by other students and teachers until the Red Cross and a municipal preventive police arrived at the scene. The Red Cross reported that the injury form the bullet or shrapnel was not life threatening as it did not damage any vital parts, only the posterior thigh of the leg. Medical personnel pointed out that it is likely that the injury was the result of a fragment from the bullet, because if it had been a bullet it would had caused more damage to the leg. The exact spot where the girl fell had chipped a piece of concrete from the wall where the bullet impacted. The student was certainly very lucky to be alive. As of last night, none of the agencies that fly these helicopters had taken responsibility for the incident. Skamania, Wash. – Imagine for a second you are hiking a trail in the Gifford Pinchot National Forest. You are enjoying the beautiful surroundings—excited about the possibility of seeing a bald eagle or signs of a black bear or grey wolf. Instead, you accidently stroll into an illegal marijuana grow run by a Mexican drug cartel and guarded by three armed men. And these armed men are not happy you have stumbled upon their operation. 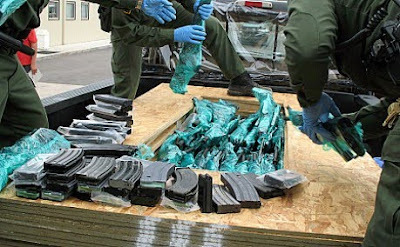 Mexican drug cartels are not restricted to border regions of Texas, Arizona and California. These gangs wield a far wider scope of power than imagined, with operations spreading as far as Canada. The cartels use Oregon and Washington forests to grow marijuana. They have quietly taken over miles of public land in the Pacific Northwest, creating a multi-billion dollar industry spanning across dozens of counties in Oregon and Washington. The illegal grows are guarded by low-level, but heavily-armed, workers. And they are willing to fight to save the hundreds-of-thousands of marijuana plants. The workers use make-shift camps in order to be self-sufficient in the forest. The alleged leader of the Beltran Leyva drug trafficking organization was killed in a shootout with federal forces in northern Mexico, state media reported. Pedro Roberto Velazquez Amador, alias "La Pina," was killed in a shootout Wednesday morning, hours after a military convoy patrolling the San Pedro area in Monterrey was attacked by gunmen. Velazquez was killed in the subsequent shootout, state-run Notimex news agency reported. Pictures from a local newspaper showed the body of a man believed to be in his 30s and said to be Velazquez, lying in a puddle of water with a firearm in his hand. Velazquez is the alleged leader of the Beltran Leyva cartel in San Pedro, according to the National Defense Secretary of Mexico. However, recent reports say the fractured Beltran Leyva cartel has been splintered into warring groups. Mexican-American drug trafficker Edgar Valdez, known by his moniker "La Barbie" for his light complexion and blue eyes, is claiming leadership over the cartel. Marine Corp Reservist Caught Attempting To Export Assault Weapons. Last week on the morning of Thursday, May 20, border patrol agents on duty near the south Texas brush country town of La Pryor encountered a pickup truck stopped on the side of the road due to mechanical problems. This area is approximately 50 miles from the border with Mexico. Agents became suspicious after observing that the truck had sustained substantial damage, and the two occupants of the vehicle made conflicting statements. A Border Patrol canine alerted agents to the rear of the pickup where weapons were found hidden inside a load of plywood in the bed of the truck. The vehicle was transported to the Uvalde Border Patrol Station for intensive inspection. 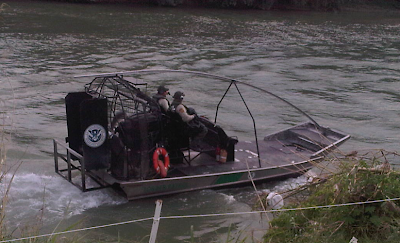 Agents from U.S. Immigration and Customs Enforcement and the Bureau of Alcohol, Tobacco, Firearms and Explosives responded to the Uvalde Station to launch an investigation. 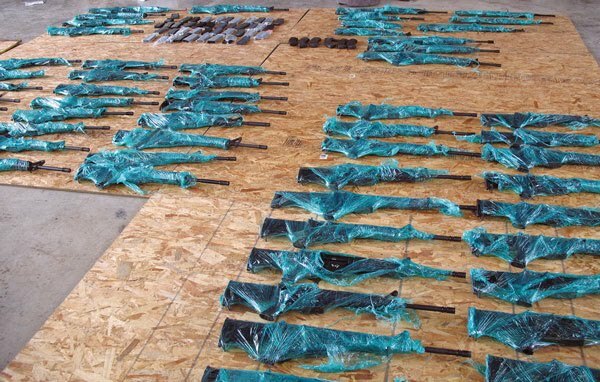 Agents found 52 AR-15 assault rifles, 4 AK-47 assault rifles, 1 SKS rifle, 1 Ruger Mini-14 rifle, 1 FN Fal assault rifle and 49 high-capacity rifle magazines. Soon after, the driver of the pickup, Cristobal Riojas, 29, a Marine Corp reservist and native of Dallas, Texas was arrested and charged by criminal complaint with unlawfully attempting to export firearms. If convicted, Riojas faces up to 10 years in federal prison and a maximum fine of $250,000. Unidentified individuals opened fire from a helicopter on students and teachers of a Mid School that resulted in the injury of a student, Daniela Oyervidez, 13 years of age. Students from the school told the media that around four in the afternoon last Tuesday they were in break a period at which time they saw a green and black helicopter flying low over the campus. As the helicopter flew over them, people aboard suddenly opened fire. "It started with one gunshot, then it was four rapid shots and that is when they hit Daniela", said one student. According to other witnesses, the gunshots were apparently were taken without seeking a specific target. The attack caused panic among students and teachers who were in school, located on Avenida Acapulco, in the community of San Ricardo. Daniela Oyervidez, the student injured by one of the bullets, was hit on the thigh of the right leg and was subsequently taken to a hospital for medical treatment. Meanwhile, for some unknown reason the "Information Service of the Government" of Tamaulipas has stopped providing reports to the public of incidents in the state since May 25. The day after a confrontation between gunmen and the military left 1 soldier dead and another in serious condition, the streets of Piedras Negras are filled with anxiety and dread. The streets are quiet with little traffic or pedestrians as many citizens chose to stay in their homes. People who must move about are doing so with a heightened sense of awareness. The appreciation for the Wednesday’s blow against organized crime by the army is still apparent but people are aware that the next confrontation may be much bigger and bloodier. The cartels never surrender a lucrative plaza. The people here have always being known for their gregarious, proud nature and their very fine cooking, especially the local “carne asada”. It is a city of dancers and singers. Now it has become a city of rumors and fears. The fears may be well founded. Citizens are saying that the Zetas or whatever other cartel runs this plaza is waiting in the shadows, ready for revenge against the military and the people. The most terrifying rumor is the one about the children in the schools being a target for reprisals by drug cartel gunmen. This is now a sickening reality as recent events in Tamaulipas show. Many people here used to say that what happens in other parts of Mexico doesn’t touch Piedras Negras. For the last couple of years or so this has no longer been the case. Recent changes in the military garrison located in the city reflect this thinking. The kidnappers holding former presidential candidate Diego Fernandez de Cevallos contacted his family last weekend but have not said how much ransom they want, the Mexico City daily Reforma reported Thursday. Fernandez de Cevallos’s family has information that the former National Action Party, or PAN, presidential candidate “is alive and is confident that he will be released soon,” the newspaper said, citing sources close to the case. The sources said “the kidnapping was done for purely economic reasons ... and for now it is not believed that there is a political or other motive,” Reforma said. Fernandez de Cevallos disappeared on May 14 from his La Cabaña ranch near San Clemente, a town in the central state of Queretaro. The politician’s vehicle was found a day later in the ranch’s garage. The case was initially handled by the Queretaro Attorney General’s Office, with support from the federal AG’s office. The federal AG’s office, however, said last Saturday it was suspending the Fernandez de Cevallos investigation in accordance with the wishes of the politician’s family. Monterrey, NL - All of the roughly 600 members of the Monterrey police department were confined to their stations without prior notification and will have to undergo screening to determine whether they have ties to drug traffickers, the mayor of Mexico’s industrial capital said Monday. The army and Nuevo Leon state police will be in charge of law enforcement in the city during the two-day lockdown. The army determined that the Monterrey police department has been infiltrated by organized crime groups and many of its officers work for Los Zetas, a band of special forces deserters turned outlaws. Several municipal cops have been arrested in recent months for carrying out kidnappings on behalf of drug cartels. “Each one of the officers on the force will be subjected to five evaluations,” Monterrey Mayor Fernando Larrazabal said. “We understand that this will be a bitter time, especially for the good police officers, who are the majority,” the mayor said. “We cannot let the bad behavior of some officers, who in recent days have stained the name of the force, stain the work of all police,” Larrazabal said. Ciudad Juarez, Chihuahua - It was hip-hop that saved an emerging Juárez artist's life -- and his hand. José Aaron Carreón García, aka MC Crimen, was at a hairdressers' shop popular among gangs in Aguascalientes, Mexico. Carreón García, 23, wore a bracelet that read "Amor por Juárez," which in English means love for Juárez. saw the young man's bracelet and ordered other men to cut off Carreón García's hand. "I said, 'No, wait! 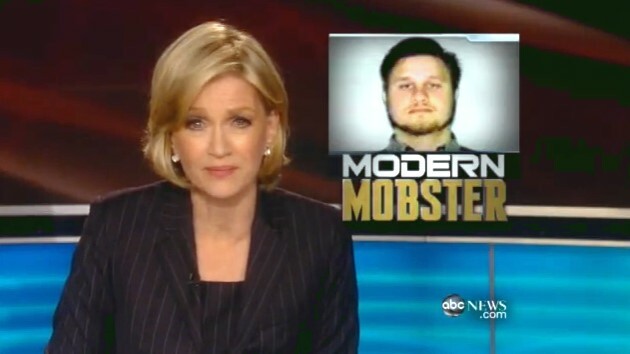 I am a hip-hop singer, not involved with any cartel,'" he said. "The Don" gave him an opportunity to prove he was truthful. He arranged a meeting at an auto repair shop. Carreón García rapped for "The Don," who then gave him 4,000 pesos, or $325, to compose three songs in his honor. Carreón García said he heard "The Don" on the phone that day order the execution of a federal police officer. Hours later, a federal agent was killed. "The Don" is just one of the many stories Carreón García documents in his songs. And Carreón García is one of at least 10 hip-hop artists in Juárez attracting national attention because of their lyrics. His music has even been pirated in Tepito, a Mexico City neighborhood known for its open-air market, he said, laughing. "POR ESTE MEDIO QUIERE FELICITAR EL EJERCITO POR DEFENDERNOS SIGAN ASI YA QUE ESTO ES UN PUEBLO SIN LEY." "Muchas felicidades al ejercito son ustedes muy valientes sigan asi por favor los necesitamos mucho son los unicos que no se han vendido por unos dlls"
"QUE COMIENZE LA GUERRA DE LOS SOLDADOS CONTRA ESTOS PERROS"
"Un aplauso a los valientes del Ejercito Mexicano, han puesto mas en peligro su vida"
Piedras Negras, a city of 200,000 people is located across the Rio Grande from Eagle Pass, Texas. There has been a long simmering discord among the citizens over the ineptness and perceived co-optation of the local municipal police forces and the administration of this city by drug cartels. This state of affairs has allowed the criminals to act with relative impunity. This drug trafficking corridor, or “plaza” has recently been in flux as members of the Zeta and Golfo/Sinaloa cartels have fought for ownership of this territory. The disappearances of up to 40people connected to organized crime, several shootouts between competing criminal gangs, and the increasing lawlessness associated with extortions and robberies of businesses and citizens has resulted in a high level of insecurity. On Wednesday, around 10:30 AM, there was a confrontation between gunmen in a white Suburban suv and elements of the military in the “Laguito Mexicano” area of the city. The confrontation continued outside the “Las Barrocas” restaurant a short distance away. Witnesses who were caught in the crossfire at both locations spoke of the military’s restraint in the confrontations so as to minimize the risk to civilians on the streets. One witness stated that the military only returned fire at the first location after taking casualties from the reckless fusillade of the gunmen. The citizens also voiced their disdain for the local police who endangered innocent lives by failing to take any measures in blocking traffic into the areas under fire. A chaotic situation arose in the city until the military effectively took control. Military roadblocks were in effect throughout Piedras Negras throughout the day and evening and all traffic leaving the city was blocked until the early evening. 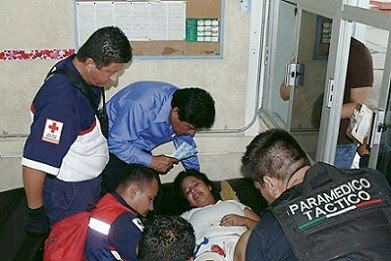 The casualties as of early Wednesday evening were 1 soldier dead and 1 soldier gravely injured and in intensive care in the local IMSS hospital. 3 gunmen were injured in the altercation, 1 of them in serious condition. 8 other gunmen were captured and were being held in the military garrison. After the shootings the 2 international bridges on the border with Eagle Pass, Tx were put on full alert on both the Mexican and U.S. sides to prevent the escape of any gunmen into Eagle Pass. In Eagle Pass, the traffic on the bridges was briefly halted as well armed I.C.E., Border Patrol and Sheriff’s Deputies provided security. 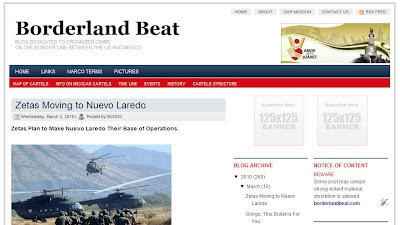 In a related event that may signify a new aggressive policy of confronting drug trafficking gangs in the area by the military, the command of the Mexican army detachment in Piedras Negras was transferred to brigadier general Alejandro Pinacho Lopez on Monday of this week. General Lopez previously served as an advisor and military attaché in the Republic of Nicaragua. A candidate for governor of Quintana Roo state has been arrested for allegedly having links to two of Mexico’s largest drug cartels, prosecutors said Wednesday. Gregorio Sanchez faces drug and money laundering charges, the Attorney General’s Office said. Sanchez, the candidate of the leftist Party of the Democratic Revolution, or PRD, provided “information and protection” to the Beltran Leyva and Los Zetas cartels, the AG’s office said. “He also conducted transactions with resources that came from organized crime activities,” the AG’s office said. Sanchez, the candidate of the PRD and the Convergencia parties in the July 4 gubernatorial election, was arrested at the airport in the Caribbean resort city of Cancun. A PRD leader said Sanchez’s arrest was politically motivated. The charges against Sanchez are “foolishness to put him in jail” or “invented” crimes alleged at a time when he is doing well in the polls, PRD president Jesus Ortega told MVS radio. Sanchez, who served as mayor of the Cancun suburb of Benito Juarez, has a good shot at beating Institutional Revolutionary Party, or PRI, gubernatorial candidate Roberto Borge, Ortega said. “The fact is that Gregorio is in a really good position, he did well as mayor, and based on that work he gained ground as a viable candidate in the elections for governor,” the PRD leader said. “The investigations of money movements are based on these protected witnesses, who are the same ones that the prosecutors move all over the place,” Ortega said. A UTEP student was one of two men killed in a roadway shooting south of Juárez during the weekend, a university spokeswoman confirmed. A spokeswoman for the University of Texas at El Paso on Monday identified the men as current student Alejandro Ruiz Salazar and former student Jorge Pedro Gonzalez Quintero. Ruiz, 19, was a sophomore nursing major who started last fall at the University of Texas at El Paso, spokeswoman Arleene Barrios said. Gonzalez, 21, was an engineering student enrolled at UTEP from fall 2006 to the spring semester of last year. The hometowns of the men were not immediately available, but Ruiz was believed to be from El Paso. The Chihuahua state prosecutor's office said the two men were traveling in a gray Jeep Cherokee when they were chased down and shot Sunday evening on the highway linking Juárez and the town of Villa Ahumada. The shooter was armed with an AK-47 rifle. Investigators found Gonzalez dead in the front seat and Ruiz laying on the asphalt next to the vehicle. Both men had multiple gunshot wounds. Six bullet casings were located at the scene. The case is under investigation. Some Juárez news media reported the men were coming from a Boy Scout camp, but state police said that information had not been confirmed. Mexican drug smugglers are increasingly peddling a form of ultra-potent heroin that sells for as little as $10 a bag and is so pure it can kill unsuspecting users instantly, sometimes before they even remove the syringe from their veins. 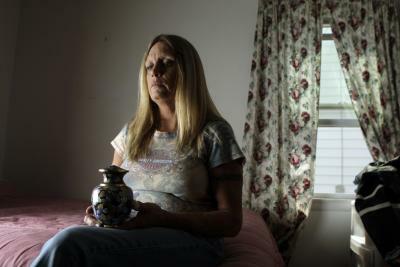 An Associated Press review of drug overdose data shows that so-called "black tar" heroin - named for its dark, gooey consistency - and other forms of the drug are contributing to a spike in overdose deaths across the nation and attracting a new generation of users who are caught off guard by its potency. "We found people who snorted it lying face-down with the straw lying next to them," said Patrick O'Neil, coroner in suburban Chicago's Will County, where annual heroin deaths have nearly tripled - from 10 to 29 - since 2006. "It's so potent that we occasionally find the needle in the arm at the death scene." Authorities are concerned that the potency and price of the heroin from Mexico and Colombia could widen the drug's appeal, just as crack did for cocaine decades ago. The Latin American heroin comes in the form of black tar or brown powder, and it has proven especially popular in rural and suburban areas. Originally associated with rock stars, hippies and inner-city junkies, heroin in the 1970s was usually smuggled from Asia and the Middle East and was around 5 percent pure. The rest was "filler" such as sugar, starch, powdered milk, even brick dust. The low potency meant that many users injected the drug to maximize the effect. But in recent years, Mexican drug dealers have improved the way they process poppies, the brightly colored flowers supplied by drug farmers that provide the raw ingredients for heroin, opium and painkillers such as morphine. Purity levels have increased, and prices have fallen. Federal agents now commonly find heroin that is 50 percent pure and sometimes as much as 80 percent pure. The cancer is depressingly similar. The patients display the same symptoms. The patients are also poor. They are named Colombia, Mexico and now Jamaica. The disease metastasizes as violence and instability overwhelms the government’s efforts to re-impose the rule of law lost to drug cartels that have effectively carved out their own state within a state. A president decides the time has come to fight the cancer and realizes the cure has come too late. The treatment, like a potent chemotherapy cocktail, will bring drastic suffering to the nation. The cancer is caused by the potent mix of several factors. First we have the insatiable drug consumption in the U.S. that drives the demand for illegal substances. Nothing can stop this demand, not zero tolerance enforcement, not mandatory sentencing for drug offences, not the DEA, not education in the schools nor the availability of drug rehabilitation for addicts. Then we have a history of weak, ineffectual and corrupt governments and institutions in the above mentioned nations that supply the illegal drugs to the U.S. market. This history has been constant since the founding of these countries. LOS ANGELES — President Barack Obama will send up to 1,200 National Guard troops to the Southwest border and seek increased spending on law enforcement there to combat drug smuggling after demands from Republican and Democratic lawmakers that border security be tightened. The decision was disclosed by a Democratic lawmaker and confirmed by administration officials after Obama met Tuesday with Republican senators, several of whom have demanded that troops be placed at the border. But the move also reflected political pressure in the president's own party with midterm election campaigns under way and what is expected to be a tumultuous debate on overhauling immigration law coming up on Capitol Hill. The issue has pushed Janet Napolitano, the secretary of homeland security, into something of a corner. As governor of Arizona, she demanded that Guard troops be put on the border. But since joining the Obama administration, she has remained noncommittal about the idea, saying that other efforts by Obama had improved border security. The troops will be stationed in the four border states for a year White House officials said. It is not certain when they will arrive, the officials said. 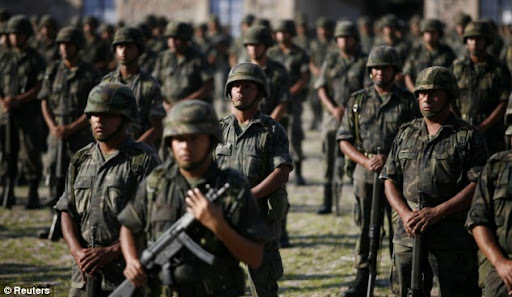 The troops will join a few hundred members of the Guard already assigned there to help the police hunt drug smugglers. The additional troops will provide support to law enforcement officers by helping observe and monitor traffic between official bordercrossings. They also will help analyze trafficking patterns in the hope of intercepting illegal drug shipments. Initial word of the deployment came not in a formal announcement from the White House — indeed, it was left to administration officials speaking on the condition of anonymity to fill in some details — but from a Democratic member of the House from southern Arizona who is running in what is expected to be a competitive race for re-election. The alleged photo of blindfolded and abducted Diego Fernandez de Cevallos has some visual similarities with images of suspected Zetas that were also abducted by drug cartels, and interrogated on video, then usually executed. 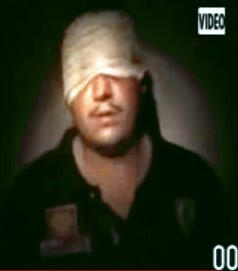 For example, a recent video in which an alleged Zeta member is questioned by the Gulf Cartel (http://www.youtube.com/watch?v=70ZM1zGQgJI) appears with a dark background and his eyes blindfolded. Another video released in 2005 (http://www.youtube.com/watch?v=8GPjONwQMTo) shows an interrogation of four suspected Zetas sitting on the floor with black plastic curtain on the background. On the full version of this video the shirtless suspected Zetas is executed before the camera. 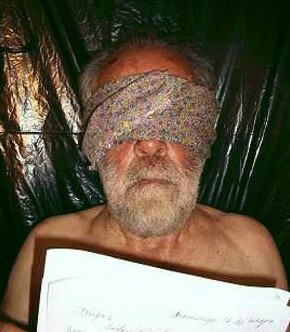 In the alleged image of the abducted Diego Fernandez de Cevallos, there is a man that looks very much like the Panista Diego who is shown without a shirt, blindfolded, and on the back is a black plastic curtain. In past incidents the plastic curtain has been used during executions to avoid splattering blood on the walls or have also been used to hide characteristics of the room. It has been reported that since 2004 Diego Fernandez de Cevallos has had alleged ties to the Juarez Cartel, which supposedly now has an alliance with the Zetas and the Beltran Leyva at war against the Gulf Cartel. Also recalled that SDPnoticias.com announced last Saturday that according to sources close to the federal government, the PGR had received a purported picture of Diego Fernandez de Cevallos right after his abduction, and it was investigating whether it was a fake manipulated in Photoshop. Edgar Valdez-Villareal at Forefront of Drug Wars, Killing Hundreds Along the Mexican Border. For some along the Texas-Mexico border, Edgar Valdez-Villareal is an American success story. Valdez-Villareal is a wealthy businessman from Laredo, Texas, who has hit the big time, raking in millions of dollars. Now living the good life in Mexico, he drives fancy cars and has been nicknamed "La Barbie," thanks to his good looks. Beautiful women want to be with him, and back in Texas, kids say they want to be like him. "Guys like money," said one male high school student who had heard stories about Valdez-Villareal. "They get fame, they get girls, they get houses. They get everything they want." But on both sides of the border, police are watching La Barbie, too. 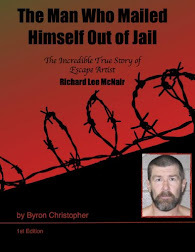 They say they he is involved in drug smuggling, money laundering and murder. Experts in narco terrorism told ABC News that the 36-year-old modern day mobster is on the verge of becoming a top boss within a Mexican drug cartel, the first American ever to do so. U.S. applauds record extraditions from Mexico, but drug war violence continues. A woman identified as the ex-wife of fugitive drug lord Joaquin ''El Chapo'' Guzman has reportedly filed a human rights complaint over police and military raids last week on properties believed linked to Guzman. Human rights officials said Friday they were barred by confidentiality rules from revealing the name of the complainant, but they confirmed receipt of a filing alleging rights violations during the searches in the city of Culiacan where the raids took place. La Jornada reported that Griselda Lopez Perez filed the complaint accusing soldiers and federal police of abuses during the raid on seven houses in upscale neighborhoods of Culiacan. The paper did not name its source. Culiacan is the capital and largest city in Sinaloa, considered the cradle of many of Mexico's most powerful drug traffickers. The president of the Sinaloa state Human Rights Commission, Juan Jose Rios, said the complaint was turned over to the federal rights commission because it involves federal authorities. The federal commission also confirmed receipt. NRA disputes claim of illicit arms exports. Mexican President Felipe Calderon called on Congress on Thursday to reinstate a federal ban on assault weapons that he said are ending up in the hands of violent drug cartels south of the border, using a highly contentious estimate of U.S. guns seized in Mexico when addressing Capitol Hill lawmakers. Mr. Calderone said he respects the Second Amendment, but argued that violence south of the border spiked in 2004 after the expiration of a U.S. ban on semiautomatic weapons. Echoing statements made by President Obama Wednesday, Mr. Calderon said the U.S. bears some responsibility in propping up the drug trade with its demand for narcotics and supply of guns. Pointedly, he warned that U.S. failure to rein in weapons dealing leaves America vulnerable to the drug-war violence wreaking havoc in Mexico. "With all due respect, if you do not regulate the sale of these weapons in the right way, nothing guarantees that criminals here in the United States with access to the same power of weapons will not decide to challenge American authorities and civilians," he said. Mr. Calderon told a joint session of Congress that of the 75,000 guns seized by Mexican authorities over the last three years, 80 percent are traced to the U.S.
That assertion is suspect as gun-rights advocates and several media outlets have debunked similar figures in the past. Indeed, Mr. Calderon's comments drew a harsh rebuke from the National Rifle Association on Thursday. "The answer to Mexico's drug and violence problem does not lie in dismantling the Second Amendment; it lies in making sure that the Mexican government takes care of problems on their side of the border," NRA spokesman Andrew Arulanandam said. "With all due respect to the president, he's either intentionally using false data, or he's unknowingly using bad numbers." photo taken by: Leni C.
McALLEN — Heavily armed Mexican freshwater pirates have been shaking down U.S. boaters on Falcon Lake, a reservoir and bass fishing haven that straddles the Rio Grande. At least three such incidents have been reported since April 30, the latest on Sunday, according to a Texas Department of Public Safety warning issued Tuesday that linked the muggings to northern Mexico's increasing lawlessness. According to descriptions of the incidents, the robbers — in at least one case posing as Mexican federal law enforcement officers — searched fishermen's boats for guns and drugs, then demanded cash at gunpoint. One of the incidents reportedly occurred on the U.S. side of the lake. It was unclear why sport fishermen were targeted, but the warning comes only a few weeks before bass fishing tournaments that are among the South Texas border region's biggest tourist draws. DPS spokesman Tom Vinger said the warning was issued in part because of the upcoming tournaments. Zapata County Sheriff Sigifredo Gonzalez said he would be discussing security concerns with tournament participants and has been reviewing protective measures with the DPS Border Security Operations Center and the region's Fusion Center, a federal information clearinghouse for terrorism prevention and response. At eight o'clock on Thursday night a photo that allegedly appears to be Diego Fernandez de Cevallos began circulating through social networks. The image came from the email; misteriosos.desaparecedores@yahoo.com. The capital’s two leading dailies are divided on the photo’s authenticity. El Universal, citing unnamed officials, says the image is genuine; Reforma, based on comments from unidentified authorities and family members, contends the man in the picture is not Fernandez de Cevallos. The man in the photo has his eyes covered. "Diego is in good health, and he sends greetings to those who love him and pray for him," says the e-mail. It also orders Junior to request from the authorities to unblock communications and to remain on line of negotiations that the family publicly offered for his release. A candidate for city council in the north-central Mexican town of Calera was found dead of gunshot wounds, officials of the Institutional Revolutionary Party, or PRI. Joel Arteaga Vazquez, 29, disappeared after his birthday party Wednesday night and municipal police discovered his body before dawn the next day. Arteaga was running for council on the same ticket as Calera mayoral candidate Rodrigo Saucedo Ramirez, according to the PRI spokesperson in Zacatecas state, Veronica Murua. “As it was not at a campaign event, one cannot presume it’s a political matter,” she said of Arteaga’s murder, though adding that the PRI would monitor the investigation. PRI officials don’t know whether Arteaga received any threats prior to the slaying, Murua said. 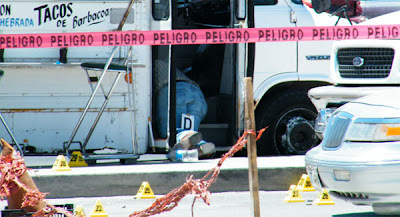 Also in Chihuahua a man was executed with a firearm at Boulevard Juan Pablo II and street 85. 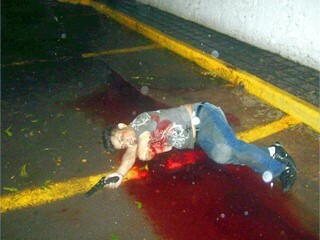 The man was identified as Jorge Ortega Ortega of 29 years of age and a PRI candidate for the government of the state. Ortega was in company of two girls who were distributing flyiers and stickers to motorists. Witnesses said that the siarios drove right next to the vehicle driven by Ortega, they ordered Ortega out of the veshicle and shot him at close range. He was wearing a shirt and cap with the political PRI affiliation. There were several spent casings from an AK-47 or "cuernos de chivo." The sicarios mamaged to flee in a silver pick-up Dakota. A clash pitting Mexican marines against suspected enforcers for a drug cartel active in the northern border region left four gunmen dead, officials said. 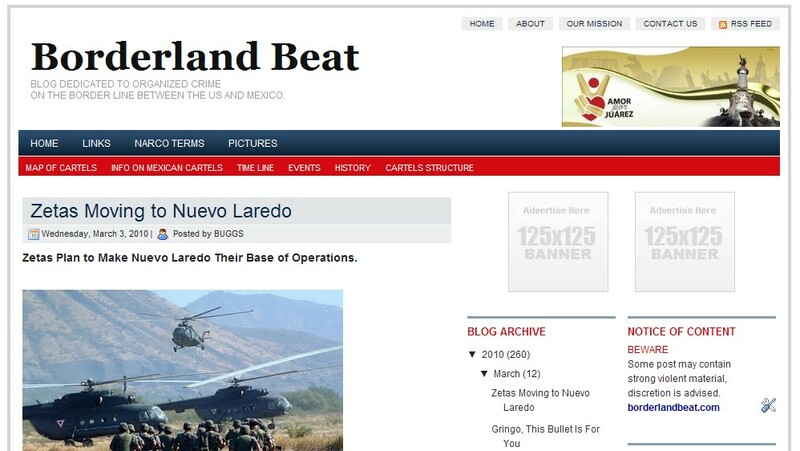 The northeastern state of Tamaulipas’ information office, known as the CIO, said on its Web site Thursday that a gun battle had occurred in the town of San Carlos. Four gunmen were killed by gunfire, the CIO said. Nuevo Leon and neighboring Tamaulipas have been rocked by a wave of violence unleashed by drug traffickers battling for control of smuggling routes into the United States. The violence has intensified in the two border states since the appearance in Monterrey in February of giant banners heralding an alliance of the Gulf, Sinaloa and La Familia drug cartels against Los Zetas, a band of Mexican special forces deserters turned hired guns. The long border between Mexico and the US state of Texas is dotted with dusty little towns, dreaming in the sun. They are towns of pastel adobe walls and shady bowers of bougainvillea - towns out of legend, with names such as El Paso, Juarez, Del Rio, Laredo, Reynosa and Matamoros. They line both sides of the Rio Grande (or Rio Bravo), the shimmering river that forms the boundary between Texas and the country to which it once belonged. There was a time, not too long ago, when life could be very good on 'the border.' The picturesque, little pueblos, that had retained much of their Spanish charm with a soupçon of the American 'Old West', had become a major tourist draw. The constant flow of US tourists along with the new string of maquiladoras (plants built by US companies in Mexican border towns) had infused the once-sleepy villages with new life and a viable source of income. The new prosperity gave rise to a new type of Mexican. Well-educated, sophisticated, upwardly mobile, bilingual and often, dual-national, these people were unique to the Texas-Mexico border. To all appearances, these 'new' Mexicans had the best of both worlds. Often Texas-born, they opted to live in Mexico due to its lower cost of living. Thus, their advantages of dual citizenship and affluent lifestyle made them the envy of people on both sides of the river. They had no fear of drug-related violence, which they assumed was confined to the lower-income barrios and would never affect their upscale neighborhoods. They were soon to discover how wrong they had been. North Border States - Two police officers and three gunmen were killed Thursday during a clash in the northern Mexican city of Torreon, the Coahuila state Attorney General’s Office said. The confrontation broke out around 1:30 a.m. as state police were responding to a tip about the presence of suspicious vehicles at a spot in Torreon known as Cuatro Caminos. When they arrived, police “were attacked in a cowardly way and from the rear by armed subjects aboard more than 10 SUVs and automobiles,” the Coahuila AG office said in a statement. One policeman was pronounced dead at the scene and another died at the hospital, while three gunmen were killed and several others wounded, the statement said. The wounded gunmen escaped along with the rest of their comrades. “The state Attorney General’s Office laments the loss of its personnel and expresses its most heartfelt regret to the families of the exemplary public servants who have died today in the performance of their duty,” the statement concluded. Drug-cartel gunmen killed eight people last week at the grand opening of a Torreon bar whose owner has reputed links to organized crime. Hours later, authorities found four mutilated bodies accompanied by a message identifying them as the perpetrators of the massacre at the tavern. Torreon and environs have been the scene in recent months of a fierce battle for control of the drug trade in Coahuila and the neighboring state of Durango. Mexico’s drug war was also blamed for six deaths Wednesday in Ciudad Juarez, a city of 1.5 million just across the border from El Paso, Texas. A municipal policeman was among the victims. Sinaloa drug cartel members arrested after a shootout in Juárez could be linked to the murders of three New Mexico men kidnapped during a wedding earlier this month, Mexican federal police said. Federal police officials on Thursday said a massive police response Wednesday afternoon resulted in eight arrests and the rescue of two kidnapped men, including a used-car salesman from El Paso held captive for 15 days. The salesman's name was not released. Those arrested are three alleged members of the Aztecas gang and five alleged members of the Sinaloa cartel, officials said. Aztecas are allied with La Linea, or Juárez drug cartel, in a turf war with the Sinaloa cartel, whose members in the region are known as the Gente Nueva, or new people. Police seized a dozen AK-47s, a .223-caliber rifle, 10 handguns, 12 bulletproof vests, six vehicles and other equipment. Officials said the incident started when Aztecas attacked a home in the 6000 block of Hermes, where Sinaloa cartel members were located. A stolen van was rammed into the house, and gunshots were fired at the building. The attackers drove away but were spotted by federal police. Three alleged Aztecas were captured after a pursuit. Federal police then went to the house on Hermes, where they confronted gunmen. Police arrested the alleged Sinaloa cartel members, seized 13 firearms and rescued a man, identified only by the moniker "El Pistolita" (the little pistol), who is apparently a member of La Linea who had been captive for eight days. Legislative sources are reporting that Diego Fernandez de Cevallos was abducted in order to negotiate with the federal government an exchange for the release of Nacho Coronel, one of the main lieutenants of Joaquin "El Chapo" Guzman Loera, head of the Sinaloa cartel, considered the most powerful criminal organization in Mexico. It is rumored and has not been denied by federal authorities that Colonel "Nachito" was arrested by military elements in the state of Jalisco. If his arrest is true, then this would be the biggest blow the Sinaloa cartel of "El Chapo" has received in recent years. The Jalisco government secretary, Fernando Guzman, confirmed that the Mexican marines carried out an operation that resulted in arrests, the first made by the armed force in that city, but declined to confirm that one of the detainees is Colonel, who besides being a lieutenant of the Sinaloa cartel is also a brother-in-law of "El Chapo." Yesterday narco-banners were placed around Mexico with threats against the President of Mexico and the Secretary of the Interior that also made reference to the abduction of Fernandez de Cevallos. A retired general who was convicted and later cleared of aiding one of Mexico's most powerful drug lords has been shot in the capital. Mario Arturo Acosta Chaparro was in intensive care at a military hospital Wednesday, city Attorney General Miguel Angel Mancera said. Mancera did not give details of Tuesday night's shooting in a central Mexico City neighborhood, though he said police had identified one possible suspect. "We do not have the line of investigation absolutely defined," Mancera told MVS Radio. "It could have been a direct attack on the general or it could have been a robbery. We are not ruling that out." Acosta, who reached the rank of brigadier general, was incarcerated in 2000 on charges of protecting former Juarez cartel leader Amado Carillo Fuentes, who had died three years earlier after botched plastic surgery. But in 2007 a panel of judges overturned Acosta's drug trafficking conviction and ordered him released, ruling that prosecutors failed to prove the alleged links to Carillo Fuentes. The Mexican government disputed a U.S. media report claiming it has favored the Sinaloa cartel – also known in Mexico as the Pacific cartel – in its fight against ruthless drug mobs, saying it combats all criminal organizations with equal intensity. National Public Radio this week unveiled the results of a recent investigation into how the Mexican government has been fighting the drug mobs. NPR correspondent John Burnett, who took part in the four-month news probe, said in an on-air interview on Tuesday that his team “found documentary evidence and sources in Juarez that we believe confirm elements of the Mexican military are helping the Sinaloa cartel to take over” the violent northern border city of Ciudad Juarez. One of the sources, an unidentified former police commander in Juarez, told the investigators that after army soldiers moved into the city the Sinaloa cartel contacted them and paid them so they would be able to continue their business as usual. 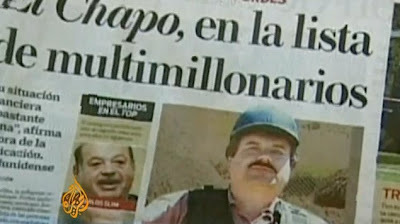 He noted that NPR launched the investigation, which involved interviews with dozens of law enforcement agents, military people, organized crime experts and victims of the drug violence, because of the widespread belief in Mexico that the government is protecting Sinaloa cartel leader Joaquin “El Chapo” (Shorty) Guzman, the world’s most-wanted drug lord. If President Felipe Calderón looks a little preoccupied during the state dinner with President Obama in Washington today, it would not be hard to understand why. A plethora of gory attacks that are presumed to be drug related have appeared daily on the front pages of Mexican newspapers. Lately, Mexico’s heavily armed traffickers appear to be taking aim at politicians and political hopefuls. The murder of Mario Guajardo Varela, candidate of his National Action Party in a municipality of Tamaulipas, and especially by the disappearance of former PAN presidential candidate Diego Fernandez de Cevallos. "President Felipe Calderón Hinojosa keeps a close eye on the drug war, holding regular strategy sessions with his national security staff and even personally intervening on law enforcement matters," said the U.S. daily "The New York Times." "Felipe Calderón played a role last week in the quick release of the wife (Griselda López Pérez or Karla Pérez Rojo) of one of Mexico’s top traffickers (Joaquin El Chapo Guzman) because of concern that her detention would prompt a round of reprisal attacks, said officials briefed on the matter," wrote Marc Lacey of the New York Times. 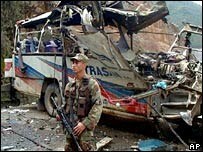 Colombian soldier standing in front of bombed bus. During a press conference this week in Spain President Felipe Calderon admitted for the first time that Mexico today faces some similarities with Colombia in the 1980’s. In Colombia during the 1980’s and early 90’s violence, terror and drug cartel warfare was so extreme that these years are known as the “age of narco-terrorism”. During this era Pablo Escobar, head of the Medellin cartel, declared war on the Colombian government and nation in his fight against extradition to the U.S. The Medellin cartel was held responsible for car and truck bombings beginning in 1989 that killed hundreds in Bogota and throughout Colombia. Isolated incidents of car bombings have continued in Colombia to this day. The U.S. Justice Dept charged Pablo Escobar with the bombing of an Avianca Airlines jet over Colombia that killed 110 passengers and crew, including 2 Americans. A presidential candidate, Cesar Gaviria, was to be on the flight but did not board. The assassinations of Justice Minister Rodrigo Lara in 1984 and presidential candidate Luis Carlos Galan in 1989 and countless mayors and provincial officials ordered by Escobar mirror the current attacks on Mexican political figures and candidates. Illegal paramilitary groups(AUC) and guerilla armies(FARC), both largely financed through cocaine trafficking, murdered kidnapped and disappeared thousands of civilians beginning in the early 1990’s. Mexican soldiers are outgunned by drug traffickers. Too bad Washington won't let them buy better arms. 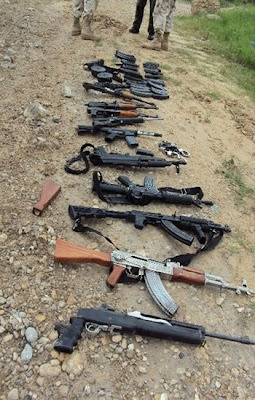 Last week the Mexican Army made an important—if not entirely unexpected—discovery in the northern state of Nuevo León: a Zetas cartel hideout complete with a firing range, a fleet of armored trucks, and enough weapons to make Rambo blush. After three years of bloodshed that has claimed more than 23,000 lives, there is still no winner in Mexico's deadly drug war—the main issue when President Felipe Calderón visits Washington this week. But in the arms race behind the conflict there is a clear front runner, and it's not Mexico's government. In shootout after shootout across the country, soldiers and police are coming up against narcos with newer, better weapons. And Washington is not helping. The United States is the narcos' primary source for weapons, a complaint Calderón is expected to repeat to President Obama. For years, the Mexican government has harped about the high-powered assault rifles pouring over the border, but now the situation is getting worse. An internal Mexican government report recently revealed that narcos now pack explosive, armor-piercing bullets; fragmentation grenades; missile launchers; and even antiaircraft guns. So far in 2010, authorities have seized more than 10,000 illegal guns, compared with less than 5,000 in all of 2007. Meanwhile, Amnesty International estimates that for every police officer in Mexico, there are 35 illegal guns. Washington - When President Barack Obama meets with President Felipe Calderón of Mexico at the White House today, he is expected to reaffirm the United States' support for Mexico's struggle against its violent drug cartels. Calderón began an aggressive campaign to combat organized crime after taking office in December 2006. Since then, he has relied heavily on the armed forces in public security operations, deploying more than 50,000 soldiers across the country. The need for public security is clear. The competition among and fighting within powerful drug cartels, as well as shootouts between cartel members and law enforcement agents, have resulted in nearly 23,000 deaths since 2007. The United States government became a partner in the struggle against drug-related violence in 2007, when it announced the Merida Initiative to combat organized crime. It has since given more than $1.3 billion to Mexico through the initiative, and the Obama administration pledged to continue its support for years to come. The United States and Mexico agreed to condition part of the Merida funds on respect for human rights, in recognition of the fact that abuses undermine public confidence in security forces and make them less effective in efforts to confront cartels. 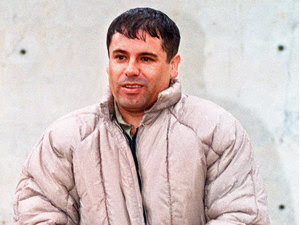 Joaquin "El Chapo" Guzman (shown in 1993) heads the Sinaloa cartel, which is engaged in a bloody turf battle with La Linea, or the Juarez cartel. But an NPR investigation has found that the two cartels aren't competing on a level playing field: Federal forces appear to be favoring the Sinaloans, Mexico's largest, oldest and most powerful drug cartel. When President Felipe Calderon visits Washington, D.C., on Wednesday, Mexico's brutal drug war will be high on the agenda. Fighting among the cartels — and between government forces and the cartels — has cost nearly 24,000 Mexican lives since Calderon took office in late 2006. The U.S. is giving $1.3 billion in military and judicial aid to Mexico to help Calderon's battle against the drug mafias. Mexico's drug cartels are the major foreign supplier of marijuana and methamphetamines to the United States, and Mexico is a main conduit for cocaine coming mainly from Colombia. 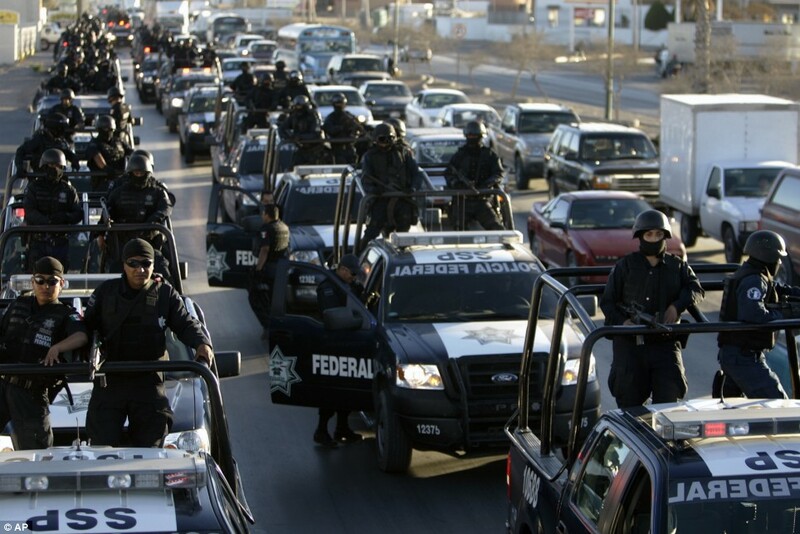 Mexican federal police patrol the streets of Ciudad Juarez during an anti-narcotics operation in March 2009. More than 24,000 Mexicans have died in the country's brutal drug wars since President Felipe Calderon took office in 2006. An NPR News investigation in Ciudad Juarez — ground zero of Calderon's cartel war — finds strong evidence that Mexico's drug fight is rigged, according to court testimony, current and former law enforcement officials, and an NPR analysis of cartel arrests.